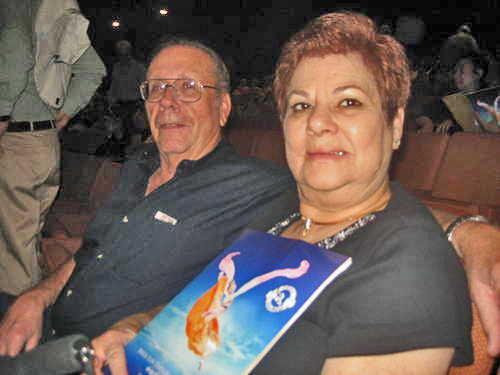 TEMPE, Ariz.—Retired judge Judy Bethel attended Shen Yun Performing Arts’ matinee show on March 8 with her husband, Lester, at the ASU Gammage Theater. “It’s very entertaining, very entertaining,” Mrs. Bethel said. Established in 2006, New York-based Shen Yun is a non-profit organization committed to bringing China’s divinely inspired culture to life through the performing arts. Having reached millions of people across nearly 20 countries and over 100 cities, Shen Yun is now widely regarded as an international phenomenon. “I like the dancing, the choreography,” Mrs. Bethel added. “It’s different than what I’m used to, that’s for sure,” she said. One of Mrs. Bethel’s favorite aspects of the show was the costume design. Mrs. Bethel’s husband, a retired accountant, was also very impressed with the performance. Mr. Bethel said that he would recommend Shen Yun to anybody.